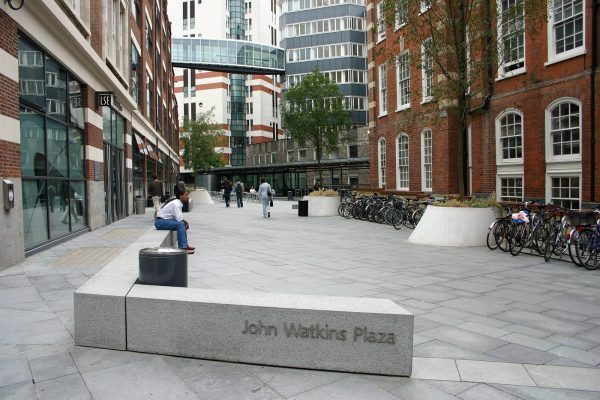 As part of a wider environmental improvement scheme by MJP for the LSE, MJP was commissioned to design the John Watkins Plaza. 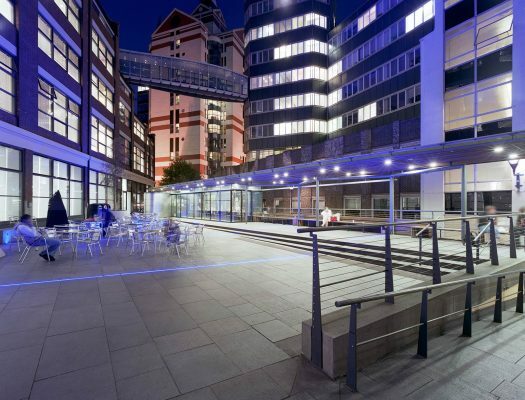 MJP’s brief for the plaza was to create a convivial meeting space near the LSE’s library, in which a small cafe would act as a social focus. The plaza is situated on the roof of an existing single storey library archive, outside the Lionel Robbins Building. A new canopy provides shelter along one edge of the space and contains it. 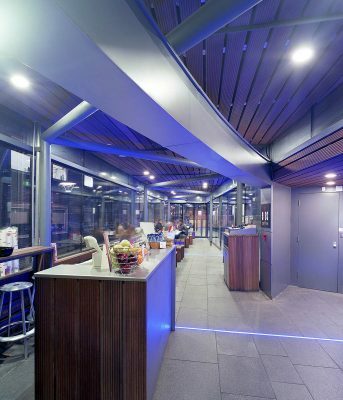 The canopy’s stainless steel roof creates a strong focal point when viewed from above from surrounding buildings. The whole project is a concise demonstration of how the architects’ special skills at ordering buildings and their internal volumes to achieve social ends can be successfully applied to external spaces, turning them into true civic areas. 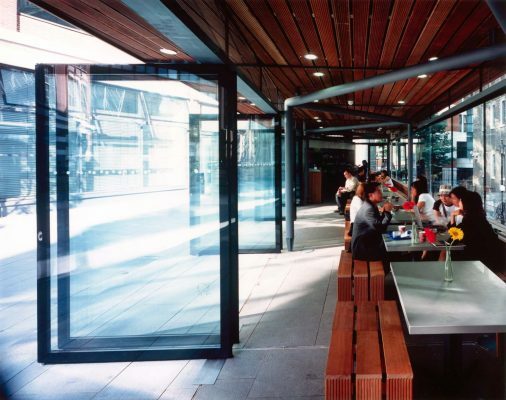 The cafe is a glazed enclosure, and the servery is an oval stainless steel ‘pod’ which nestles under the canopy. 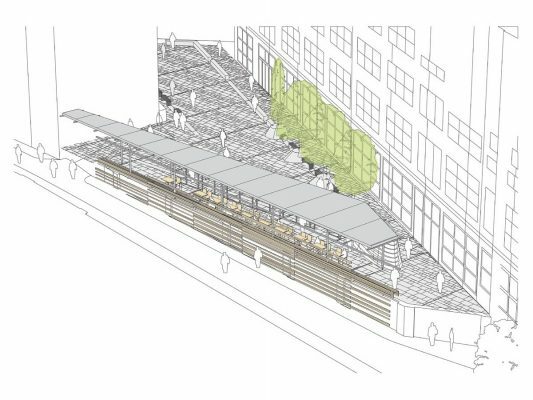 The glazing containing the seating area opens out in the summer to form a seamless continuation of the plaza. 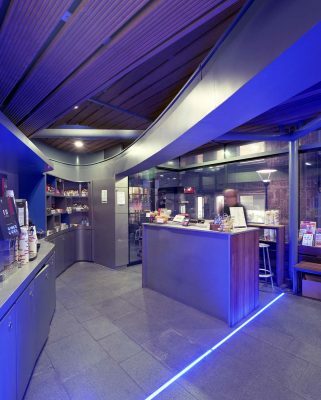 External lighting designed in conjunction with artist Bruce Allen consists of blue LED strips of light set within the paving and uplighter to light the new trees and canopy to extend the life of the space into the evening.